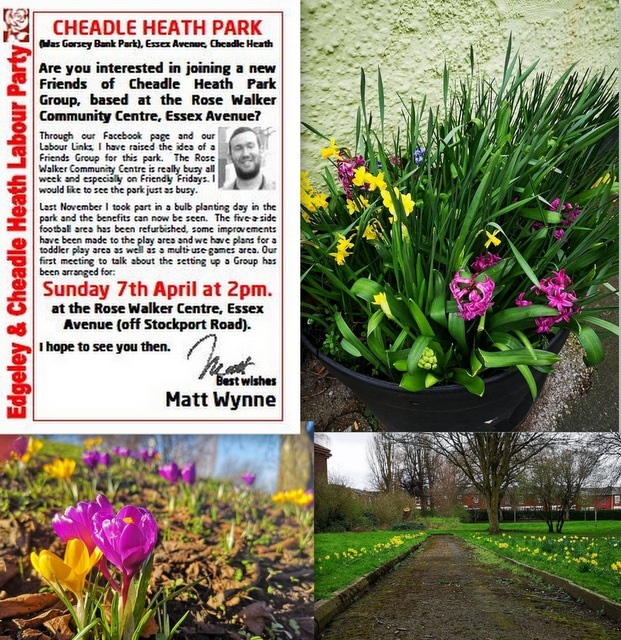 at the Rose Walker Centre, Essex Avenue, Cheadle Heath to talk about the possibility of setting up a new Friends Group for the park. Last year several people joined in a bulb planting afternoon in the park and the photos show just a few of the results. If you are interested please come along on Sunday for a chat. Cheadle Heath Community Association invites you to join us! 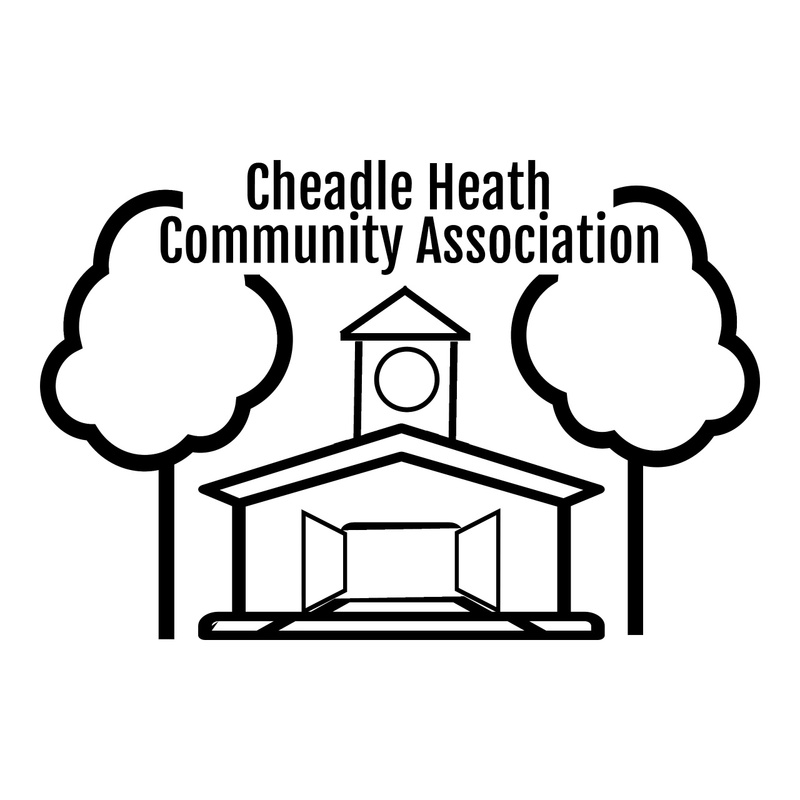 The Cheadle Heath Community Association is based in the Rose Walker Centre in Cheadle Heath Park, Essex Avenue (off Stockport Road) Cheadle Heath, SK3 OJA. 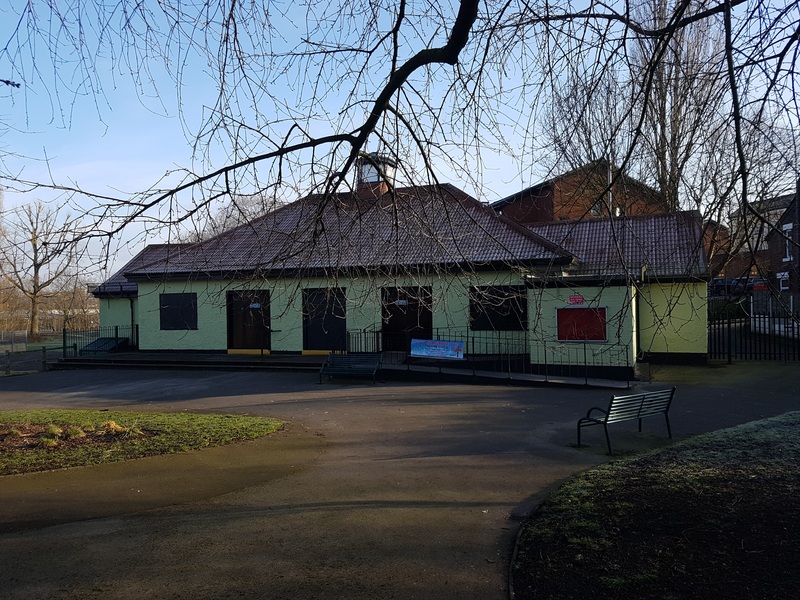 The park was opened in 1936 and the Community Centre (or the Pavilion as it is known locally) has provided a meeting place, a social hub, a venue for parties, events and activities for many years, and is still doing so. This webpage is being set up so that local residents (and those not so local) can see what is happening here and come and join us. 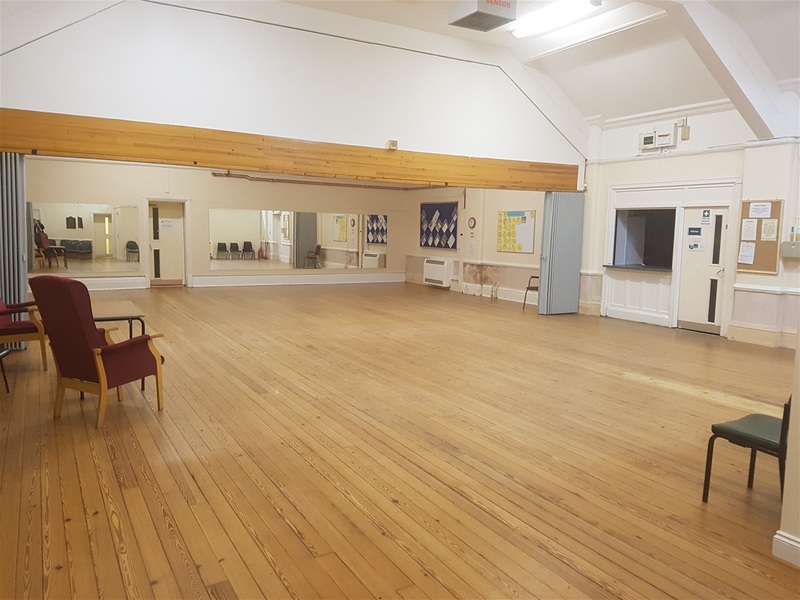 The Centre is run by the Cheadle Heath Community Association, people who give their time freely for the good of the community - but many hands make light work and volunteers are always needed to help with the various activities. The pages on this website will provide information and contact details and we hope that you will be inspired to attend some of the events, hire the venue for your own event or offer a few hours each week to help out. 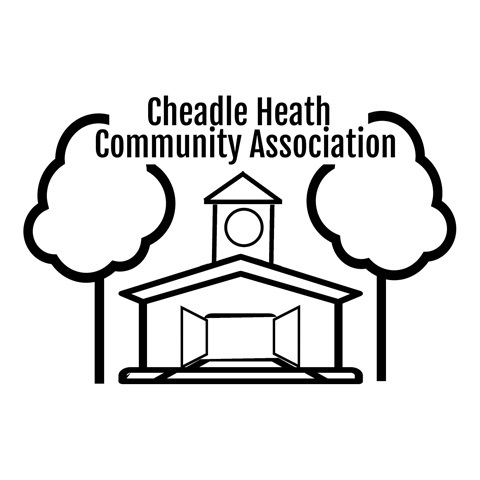 The Cheadle Heath Community Association is a Registered Charity No. 1002266. 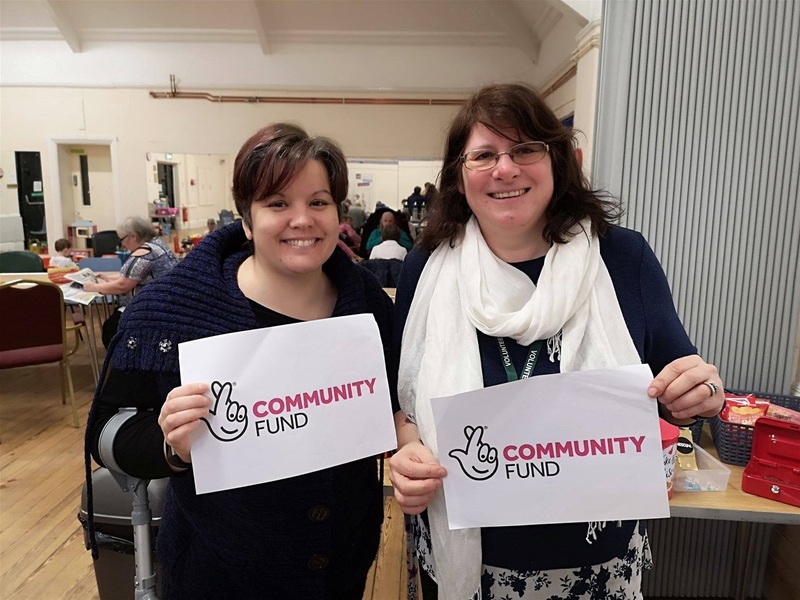 We are delighted to have been awarded grants from both Stockport Local and the Big Lottery Community Fund towards our Friendly Fridays project! 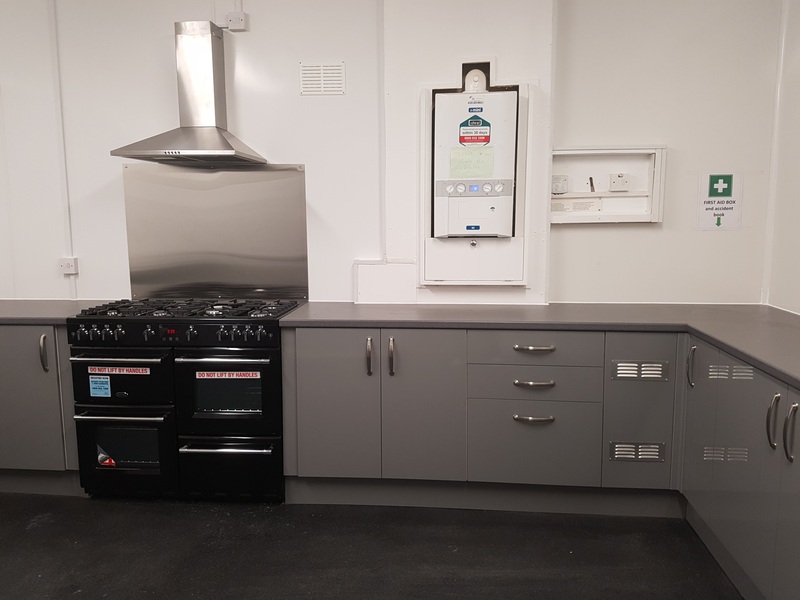 Friendly Fridays opened in February 2018 and has gone from strength to strength. It is open every Friday, 10 - 3, and is a community drop-in for all ages. You can find out more on our What Is Going On page. Well done to the fantastic Project Leads and all the volunteers who have worked so hard to make it a success. May the group continue to grow and be a place where everyone feels welcome. 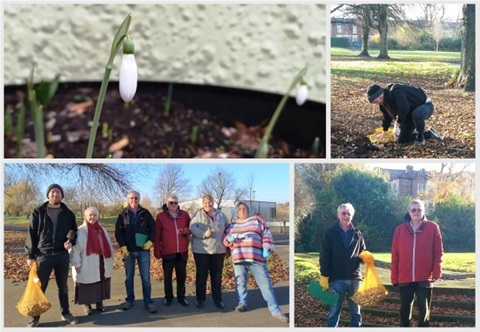 Last November over 1000 bulbs were planted in Cheadle Heath Park, following a mass plant organised by Friendly Fridays. 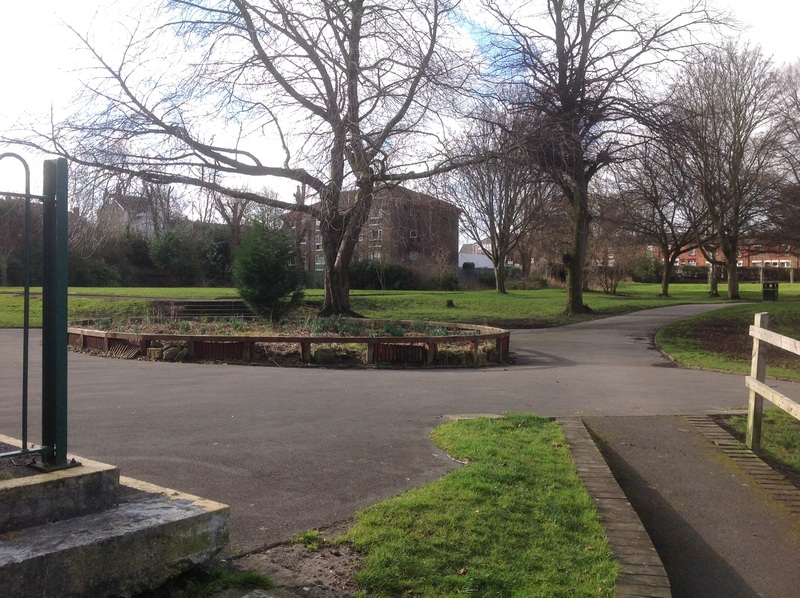 The bulbs were provided by the Council's Greenspace team and included Bluebells, Snowdrops, Daffodils and Tulips. The first of the Snowdrops has appeared, bringing with it a sign of spring to come. Well done to Friendly Fridays and everyone involved. 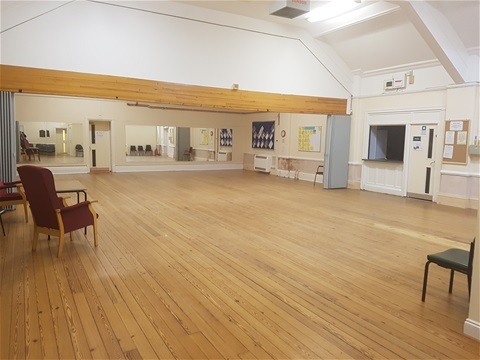 We have a spacious hall for hire, with a good number of tables and chairs for your use. 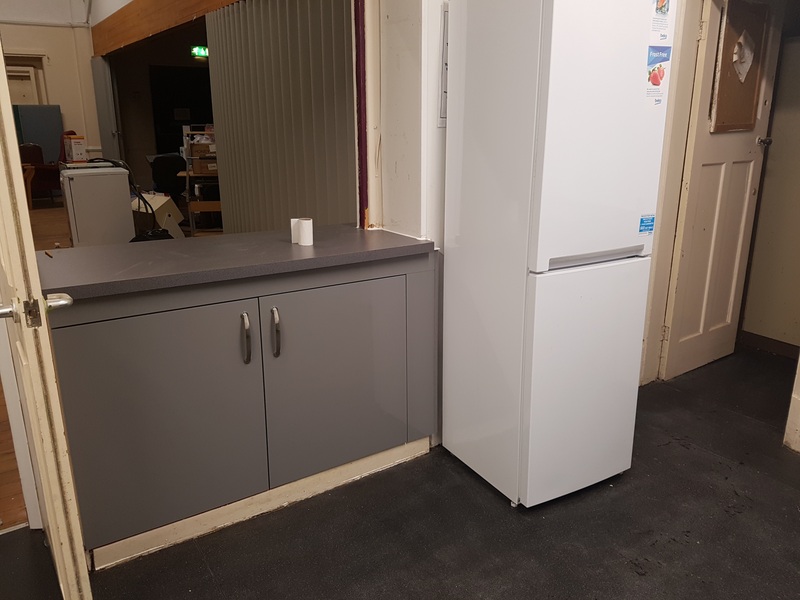 We have recently had a brand new heating system installed, as well as a new kitchen with range cooker. We also have a white board for your use, as well as flip charts, a screen and projector. Whilst we currently do not have wi fi, we are working on having it installed as soon as possible! 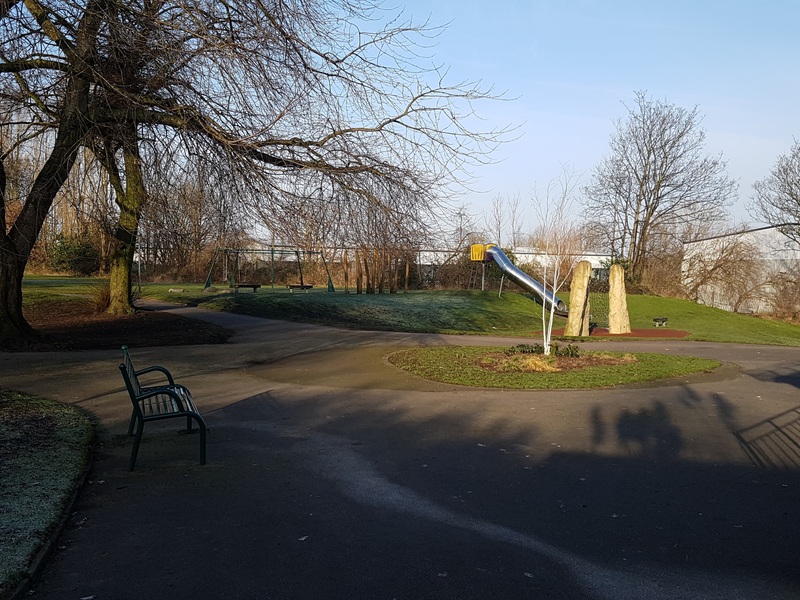 We have our own car park, and are situated next to the beautiful Cheadle Heath partk, and are very close to the Trans Pennine Way. The Centre can be hired for parties, meetings, training courses, regular bookings or specail events.. Please call 0161 429 0490 (Fridays between 10.30am and 3pm) for more information or email us from our Contact Page. 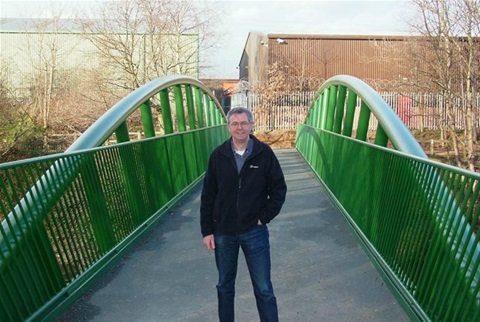 The Rose Walker Community Centre is just minutes away from the footbridge over the river giving access to the Trans Pennine Trail. Why not call into Friendly Fridays at the Centre, every week, 10am to 3pm and then have a walk along by Stockport's River Mersey? At Stockport the Trail has two options: one taking in the attractions of the town centre - including the unique Hat Museum and Air Raid Caves, or the quieter route to the north of the town. The trail then leaves Stockport through the leafy Tame Valley. 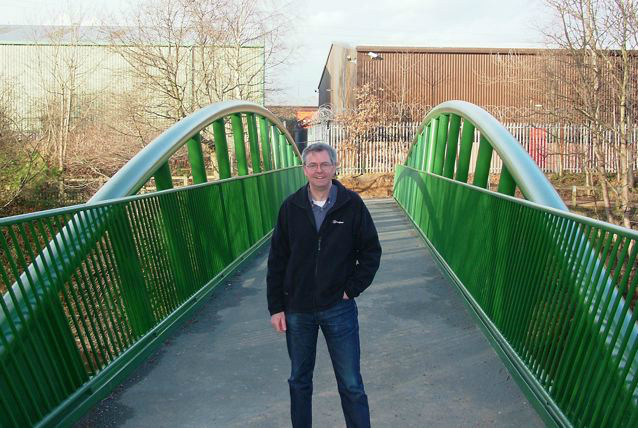 For further information see the Trans Pennine Trail website.